Then I noticed another ingredient: “cochineal extract (color).” Turns out, cochineal is a bug. 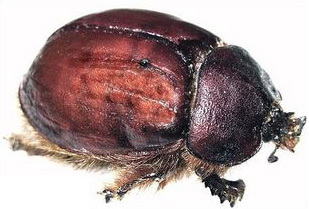 More accurately, according to Wikipedia, “The Cochineal (Dactylopius coccus) is a scale insect in the suborder Sternorrhyncha, from which the crimson-coloured dye carmine is derived. A primarily sessile parasite…” So Sobe Lifewater has dead bugs in it. I guess that’s better than live bugs. The good news is that the Food and Drug Administration will require all foods and cosmetics containing cochineal in them to be labeled as such, starting NEXT YEAR (January 5, 2011). How about using beet juice or purple carrot juice for coloring? Not a sermon, just a thought. Or maybe just switch to water. This entry was posted on January 12, 2010 at 1:06 am and is filed under Uncategorized. You can follow any responses to this entry through the RSS 2.0 feed. Responses are currently closed, but you can trackback from your own site.